Use a shampoo with sodium lauryl sulfates: Although it’s not recommended that you use such a shampoo on a daily basis (it strips your hair off its natural oils and moisture), it’s okay to cleanse your hair with a cleansing shampoo at least once a week. This way, all the dirt and grime accumulated in your scalp will be removed, leaving you with a cleansed hair shaft. Treat your hair to astringents: The core issue of oily hair is the excessive build-up of sebum caused by open pores. Astringents, when applied after shampooing and conditioning, shrink the pores on your scalp, thus, slowing down the production of sebum. 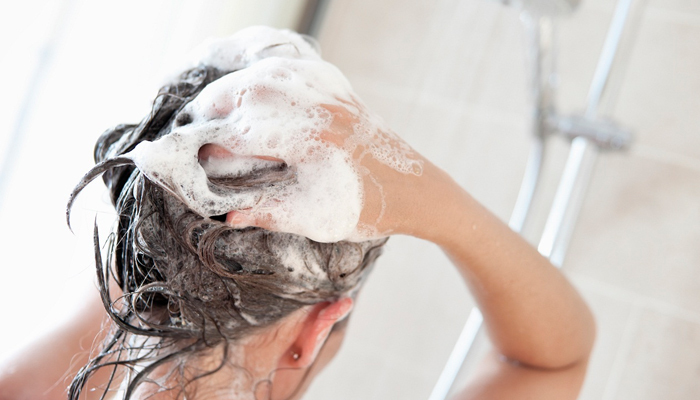 Did you know, even your shampoo and conditioner could add to the oiliness of your scalp? Conditioners, especially, contain detangling ingredients that, although help keep your hair smooth, could add to the accumulation of grease. A simple solution? Dry shampoo! It comes in spray or powder form, and soaks up any extra oil on your hair. Hair masks containing aloe vera: Every week, treat your hair to a deep conditioning mask that contains aloe vera. This agent is commonly used to obliterate any excessive oil on the scalp as well as the hair shaft, and also restores your hair’s pH balance, thus, lending the much-wanted sheen and lustre. Apart from the above-mentioned treatments, you must opt for a healthy diet to reduce your skin’s propensity for oiliness. 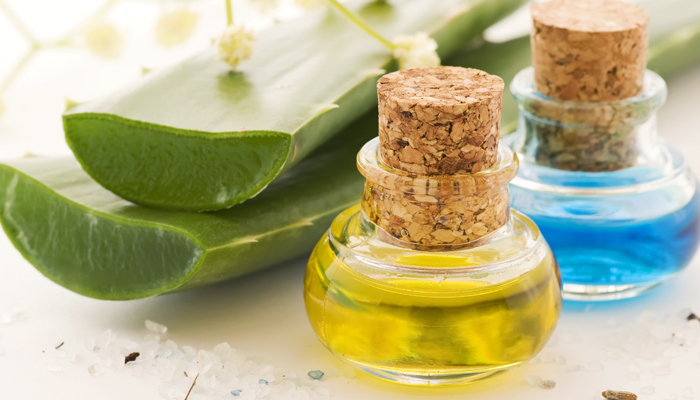 The less your skin’s sebaceous glands produce oil, the less oiliness you experience in your hair!